The new Tata Hexa Downtown Urban Edition comes in two packages - Absolute and Indulge, along with 15 new features, including a new Urban Bronze colour option. Tata Motors will soon launch a new special edition model of its flagship SUV Hexa and the company has christened it - Tata Hexa Downtown Urban Edition. Ahead of its official launch, the SUV has been revealed online and according to the brochure, the Hexa Downtown Urban Edition will come with 15 new updates, possibly over the standard features offered with the car. 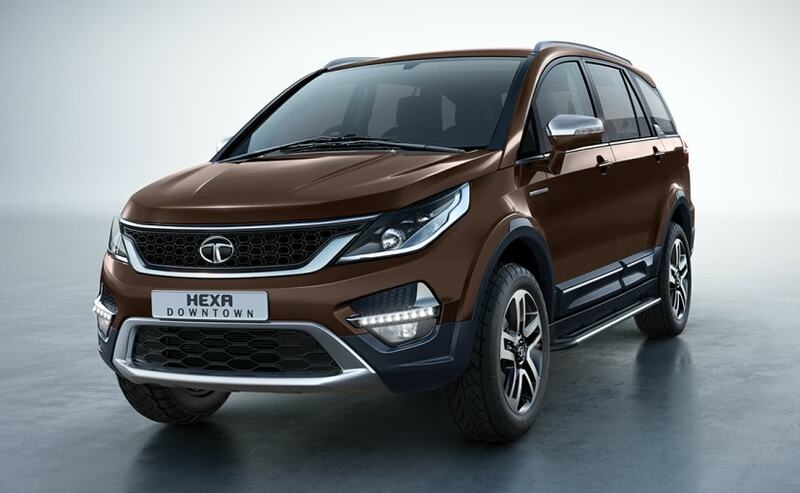 The new special edition Tata Hexa also comes in an all-new 'Urban Bronze' colour option and a bunch of new features. The new Hexa Downtown Urban Edition gets two package options - Absolute and Indulge and will be available in all the variants, right from the base model XE to the top-end XTA trim, with the Indulge package. 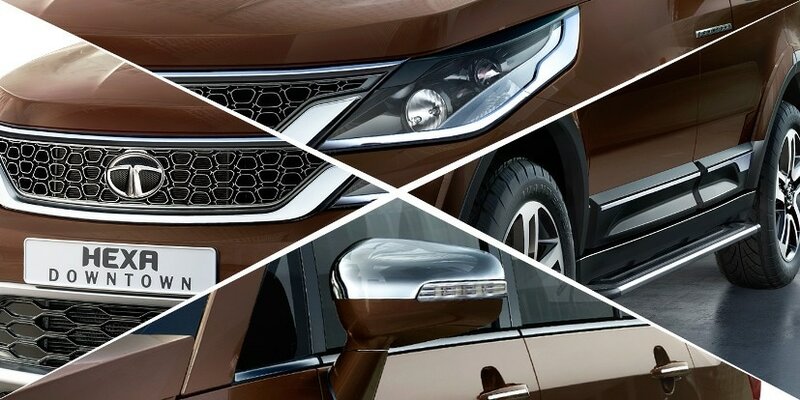 Apart from the new Urban Bronze colour, the new special edition Hexa also comes with other cosmetic updates like chrome pack suit, which includes chrome treatment for the front grille, headlamps, ORVMs, and side body cladding. The exterior updates made to the SUV also includes - a side step, new 16-inch alloy wheels, and, of course, the 'Downtown' badging. 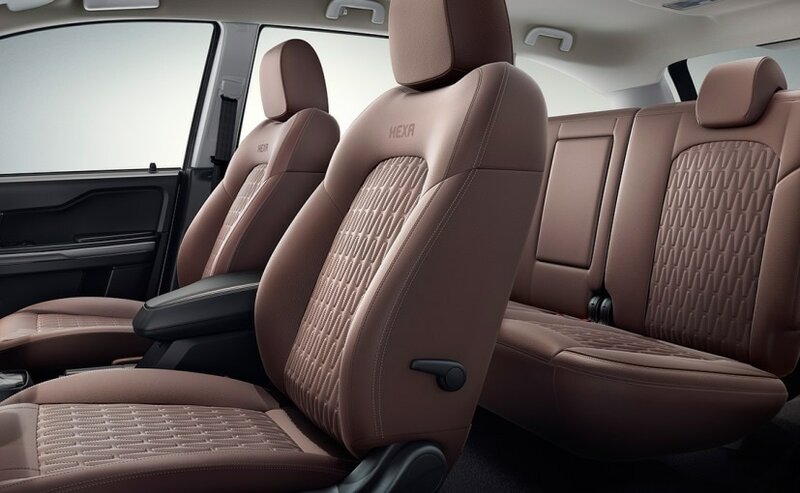 The cabin has also been updated, which now comes with new premium tan seat covers and new carpet set. 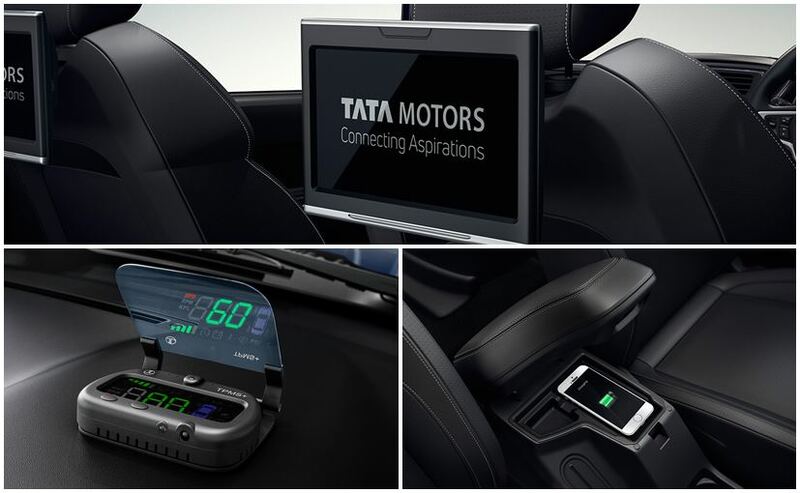 It also comes with some new gizmos likes - LED Heads-Up Display (HUD) with speed limits alerts, battery voltage indication, and Tyre Pressure Monitoring System (TPMS), wireless charging, and also an entertainment player with a 10.1-inch display for rear seat passengers. These two will only be offered with the top-end XT and XTA variants of the Hexa Downtown Urban Edition. Mechanically, the Tata Hexa Downtown Urban Edition will remain unchanged and gets the same 2.2-litre, 4-cylinder, diesel engine, which comes in two states of tune - 148 bhp and 154 bhp. In both options, you get a peak torque of 320 Nm and 400 Nm respectively. The base model, which gets the 148 bhp option comes mated to a 5-speed manual gearbox, while all the variants above it get a 6-speed manual unit as standard along with a 6-speed automatic torque converter as an option. Price of the new Tata Hexa Downtown Urban Edition is yet to be revealed but based on the host of new features offered with the package we expect the car to come with a premium of at least ₹ 20,000 to ₹ 50,000, over the asking price of the variant you choose.